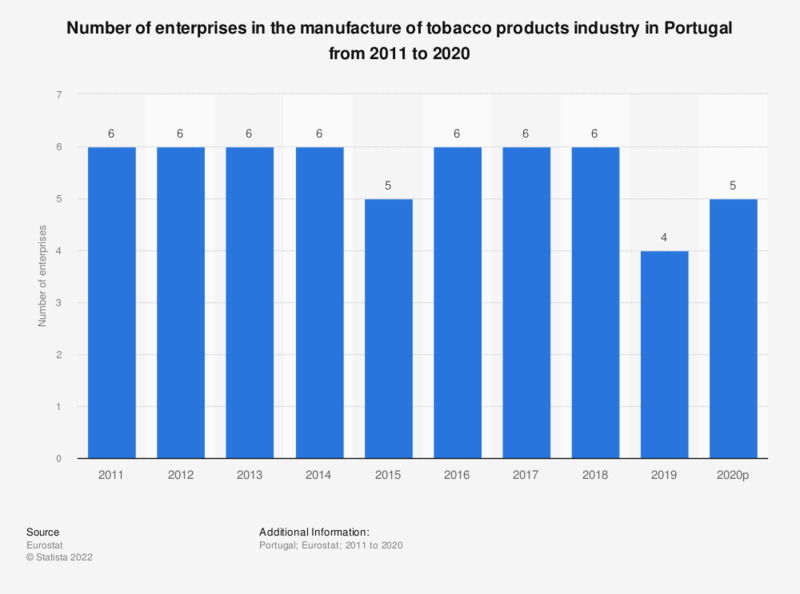 This statistic shows the number of enterprises in the manufacture of tobacco products industry in Portugal from 2008 to 2017. In 2015, there were five enterprises manufacturing tobacco products in Portugal. Structural business statistics (SBS) describes the structure, conduct and performance of economic activities, down to the most detailed activity level (several hundred economic sectors). Number of enterprises: a count of the number of enterprises active during at least a part of the reference period. Definition for number of enterprises differs in some countries. Data coverage corresponds to Section C12 of NACE Rev 2.